Summer’s here – the season for shorts, skirts, ice cream and long, fun-filled days. I’m sure all of you have already got out your summer dresses and skirts, and have made parlour visits a regular! Here are some awesome tips I found on how to keep your legs smooth for all those adorable summer clothes you want to wear! 1. Moisturize before you shave: While most of us who shave our legs slather on the moisturizer before shaving, it’s actually more important to apply it only after you shave. This is because putting it beforehand clogs your pores, and often you tend not to reach all the hair till its root, leading to all that annoying stubble. But always remember that the best time to apply lotion is right after taking a shower, to prevent stubble and tiny hair growth. 2. Try waxing: Waxing is the best way, hands down, to keep your legs smooth. Not only does it pull out hair from the root, it also reduces hair growth over a period of time. Whether you get it done from a professional or do it yourself though, be careful and don’t use wax this is heated too much, and pull off strips the right way. 3. Do it right: When you shave, make sure you use a good quality shaving foam or gel that is formulated for shaving – if you use soap or conditioner it won’t give you the same results. Shave slowly to reduce the risk of nicks and cuts, and make sure you don’t use a blunt razor. Move the razor blade from your ankles up to your knees gently. 4. Don’t use hot water: Hot water is really bad for your skin, in that it dries skin out and saps it of its moisture. So, when you shave, don’t use very hot water, else your legs will end up smooth but very dry. Lukewarm water will strike the right balance because cold water is also bad for shaving. 5. Olive This: Olive oil is one of the best things ever to be invented because it’s used to make yummy food and also lets you do so much with your beauty routine. 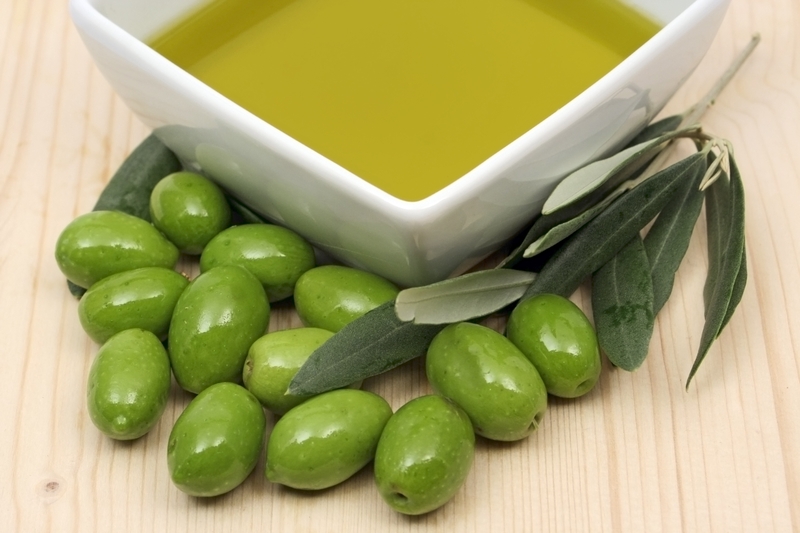 Well, try this – after you shave, massage some olive oil into your legs in the night before you sleep. You will wake up with smooth, baby-soft legs! 6. Exfoliate, exfoliate and exfoliate: It’s important to use a good scrub to exfoliate your legs, especially since it helps in getting rid of dead skin cells and also gets more of the hair follicle. Use a salt-based or a sugar-based scrub, or make one at home with some of the tons of ideas on IMBB! 7. Laser it off: Of course, if you prefer to find a permanent solution, laser treatments are the best option. They get rid of the hair from the root in a few sessions, and you never have to bother about hair on your legs again. There are a few useful posts about this here as well. Or, you could opt for depilatory creams if you have the patience! Some of you have tried epilators, so that’s yet another option. 8. Soak it up: It always helps to soak your legs in warm water beforehand, for about fifteen to twenty minutes. You could even add a bath bomb or bubble bath with moisturizer in it to make your legs even more smooth, for a close shave. I hope these tips helped! Flaunt those gorgeous gams the next time you wear a dress.